The Rev. 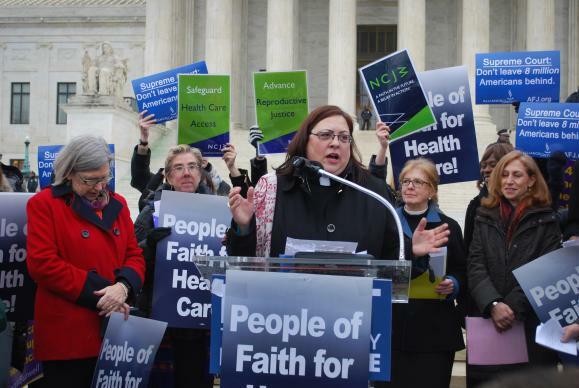 Cynthia Abrams, director of health and wholeness at the United Methodist Board of Church and Society, speaks during a February rally for health care in front of the U.S. Supreme Court. Over Abrams' left shoulder is the Rev. Susan Henry-Crowe, top executive of the agency. 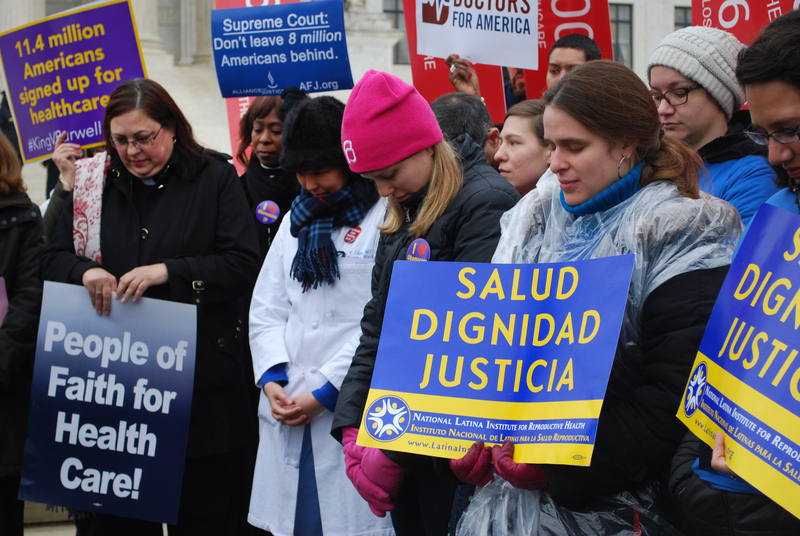 In summary, the decision says the plain reading of the contested section would leave the health care law basically intact but functioning poorly. The law, also known as Obamacare, provides the subsidies to help people afford the health insurance everyone is now required to buy. All of these conferences are in states that rely on either a federal exchange or a “partnership exchange” that uses theHealthCare.gov portal. All stood to be affected by the high court’s ruling.